Join the hundreds of thousands of students, physical therapists, occupational therapists, chiropractors, sports medicine specialists, and other orthopedic experts that use Muscle Premium to better understand and explain how the musculoskeletal system moves the body. 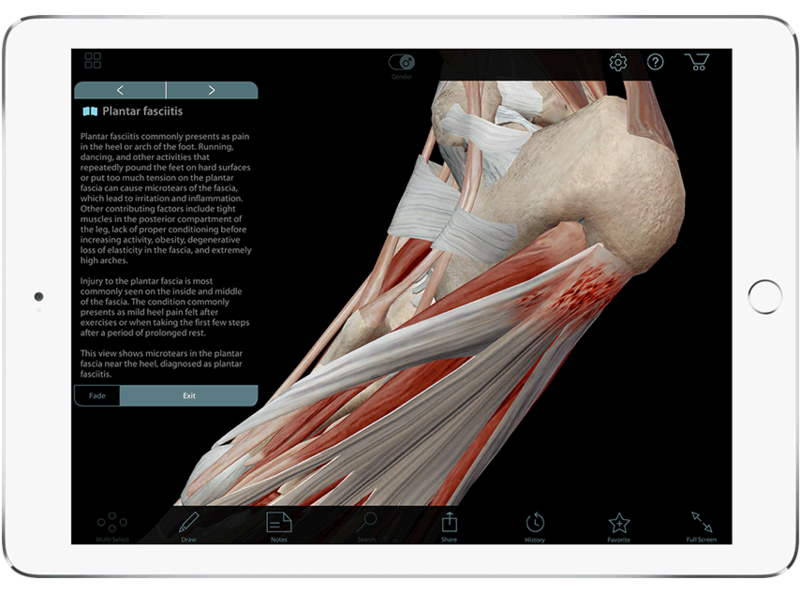 I am currently in school for physical therapy and this app has been such a useful tool to study and learn on the go. "I wish I had this app when I was in PT school! Being a visual/tactile leaner, textbooks were always lacking compared to cadaver lab. Having this app definitely would have narrowed the gap." "The function of letting structures disappear and showing them again is very helpful. Very good [for] looking at muscle layers and tracking the course of nerves and vessels, which is very useful for therapies such as dry needling." "I love the ability to hide superficial muscles to see supporting muscles and bones. Moving examples of joints and muscle use give my students that "ah ha!" moment!" Watch video presentations by subject matter experts on topics such as rotator cuff tear, hip biomechanics, osteoarthritis, and more! Want to use this app in a course you teach? This pricing is for individual use licenses. We have pricing and access options for multi-user seat license and subscriptions for your entire institution.